SUFFERING concussion just once in a lifetime has been linked to an increased risk of both dementia and Alzheimer’s disease. A nationwide study of 2.8 million Danes found those who sustained one or more traumatic brain injuries (TBI) over a 36-year period were 24 per cent more likely to be diagnosed with dementia than those without a history of TBI. The younger a person suffered a traumatic brain injury the higher the risk, according to the findings published in journal The Lancet Psychiatry on Wednesday. The authors say the findings are concerning and more needs to be done to prevent these types of injuries as a way of reducing the burden of dementia on society. They did, however, caution that the findings do not suggest that everyone who suffers a traumatic injury will go on to develop dementia. “Our analysis raises some very important issues, in particular that efforts to prevent traumatic brain injury, especially in younger people, may be inadequate considering the huge and growing burden of dementia and the prevalence of TBI worldwide,” said lead author Jesse Fann, Professor of psychiatry and behavioural sciences at the University of Washington School of Medicine. For the study, researchers at University of Washington tracked all diagnoses of TBI from Danish national registries from 1977 to 2013. After adjusting for other risk factors including diabetes, heart disease, depression, and substance abuse, they found those with a history of TBI were more likely to be diagnosed with dementia. A single severe TBI increased the risk of dementia by 35 per cent, while one mild TBI (concussion) increased the risk by 17 per cent. Age also influenced the association. For example, individuals having a TBI in their 20s were 63 per cent more likely to develop dementia about 30 years later compared to those who didn’t sustain a TBI in their 20s. A traumatic brain injury occurs when an external force such as a bump or blow to the head disrupts the normal function of the brain. Given the widespread under-reporting of sport-related concussion the association between TBI and dementia may be even stronger, warned Associate Professor Michael Buckland at the University of Sydney’s Brain and Mind Centre. 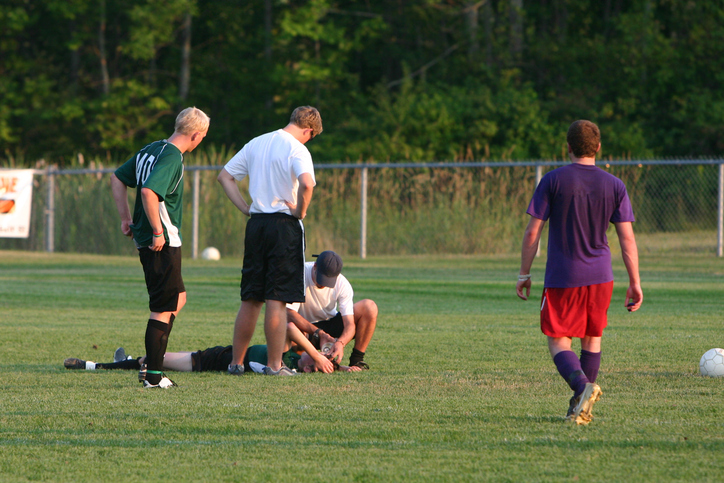 “The vast majority (of concussions) are not recognised or recorded, that would be a limitation of this study, in fact there might be a stronger association,” said Professor Buckland. Dr Adrian Cohen founder of HeadSafe says this study should act as a wake-up call to sporting organisations, who must do better at recognising concussion and minimising a players risk by keeping them off the field until the brain has had sufficient time to recover. “It’s no longer the gladiator days where it was a badge of honour to stay on when you were injured,” said Dr Cohen. “There are individuals at risk here,” he said.